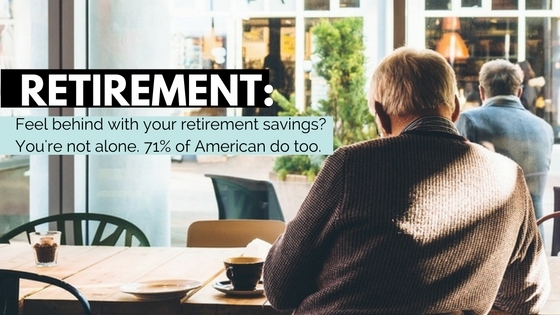 There are 11 reader responses to "Survey: 71% of Americans are Behind on Retirement Savings". It would be great if you also included a link to someplace that could evaluate our retirement savings progress. I like this line “Lack of income and funds are considered the main reasons for financial woes, not fiscal behavior”. So it’s not a matter of overspending, it’s all because I don’t earn enough (or have enough money). Funny how this problem usually persists even as income grows over time, the reason being that spending typically grows faster. 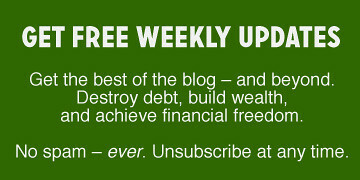 I think there’s no substitute for treating actual net income minus required savings as a hard stop on spending. This is bad but not surprising. It is shocking that 70 percent don’t invest in stocks and bonds. I am yet to find someone who became rich by putting money in a savings account. Cash is sin – inflation will eat it up. I have taken to talking – more like meeting with my daughter at the beginning of every semester. We discuss her finances, her expenses, income and future plans. The other day I helped her set up several automated bill pays but more importantly we set up a savings plan as well as an automated way to fund her savings and retirement. It may have taken me years to start, but i want my children to succeed and that means they start now. This is really smart William! It’s rare that PF blogs talk about rental properties as excellent retirement vehicles. I have a motto: Why fund my retirement when someone else will do that for me? In other words, I buy a rental with, say, $25,000 down. When I rent it out, and have a 30-year loan, I own it free and clear in about 20 years depending on rent and interest rates and I get almost nothing but cash flow from then on. I stopped investing in 401K (1.8% expense ratio) and put it all toward down payment on the next property. Rentals are slowly making me rich. Ten rental condos averaging $1200/mo rent = $120K/yr gross income. I pay a company 6% to manage them and I do virtually nothing. I learned all this too late but can always catch up. When did you start buying condos? * How much does the postmodern mindset of delayed gratification play into this? * Are people less trusting of “the market” in general because of the massive swings we’ve seen in recent years? * What if people lived below their means (i.e. not living in the biggest home they could afford, paying cash for cars and driving them longer, etc.)? I’m sure my accountant friend would have plenty to say on the topic. What say you, Mike? Some startling statistics. Financial education is trending upward with more access to information but needs to be taught in our schools.